After success story of kill shot hothead games brought kill shot bravo and this time they are serious about their game. Well i am saying this because i have already played until level 10 and i am pretty sure developers are not money hungry at all. 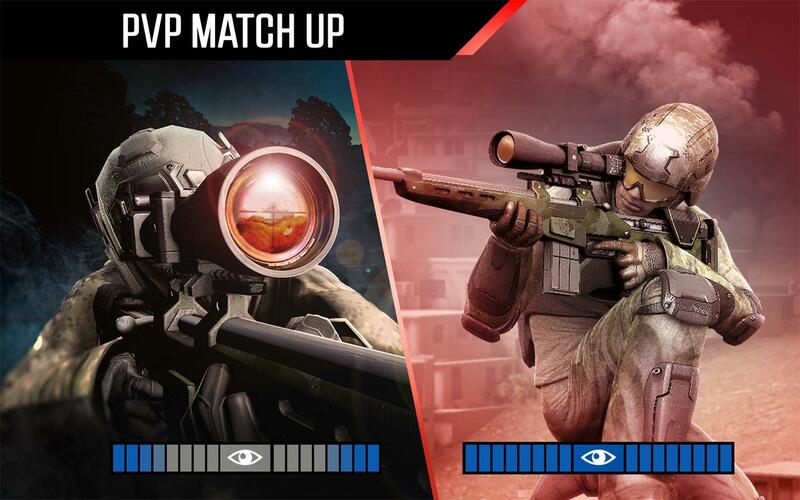 Kill shot is about sniper and kill shot bravo is not just a sniper game there are other two modes as well as sniper mode. Shotgun mode- This mode will remind you of modern combat 5’s breach and clear mission. and the other mode is assault mode- you will be holding rifle in the car and auto driving will get you to the enemies shoot them that’s all. 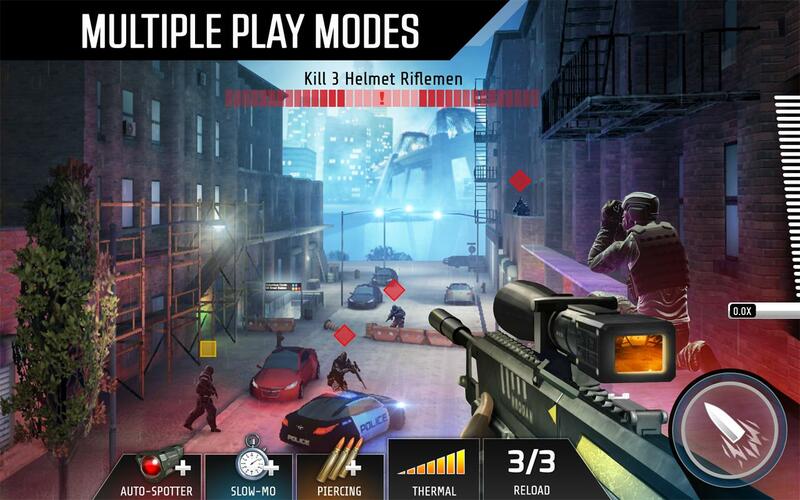 Kill Shot Bravo MOD APK 1.3 for unlimited ammo and no reload. One more thing will be worth praising will be PVP MODE yes real time player vs player will let you shoot the other players online. jump in to the pvp mode you will be matched with the online player.In the match you will be standing in the map and in other hand other player will be looking for you. search enemy player before he find you and kill him. searching is kinda fun, the more you are near to the enemy the more green single will be high. when player is looking at you you will see glint at that side,isnt its looking familiar to you? yes this idea is from battlefield multiplayer. Talking about graphics, graphics are top notch, level details are sharp and looking realistic. Unlocking different regions will let you play in newer maps and have to face advanced enemies. Earning money is not that hard you will earn enough to upgrade your weapons and kill enemies easily. There are bosses that needs to be eliminated before you unlock new region. killing bosses gives bigger rewards.Playing in PVP is worth it if you are only looking for fun because PVP matched doesn’t let you win rewards such as money or gold. game is offline you can play it anywhere.one more thing is remarkable that is bullet drop slow motion, you can freely move camera 360 degree to enjoy the shot you have fired. Developers has promised that new contents are coming it does mean that they will keep improving their game.Kill shot bravo is a must play if you are looking for some action fun. 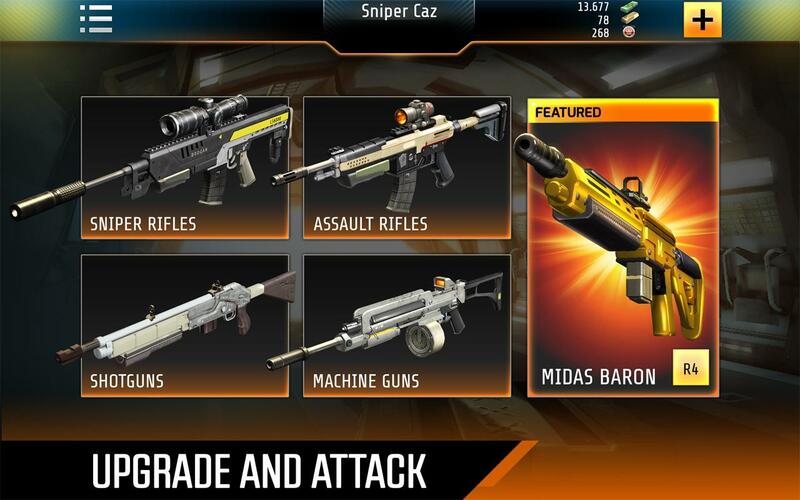 Sniper Fury from gameloft is coming in next 2 week let us see what gameloft has to offer in their first and only sniper game.